When will be Elizabeth I next episode air date? Is Elizabeth I renewed or cancelled? Where to countdown Elizabeth I air dates? Is Elizabeth I worth watching? Elizabeth I is a docu-drama series about the life of Queen Elizabeth 1, with commentary by expert presenters Susannah Lipscomb and Dan Jones. 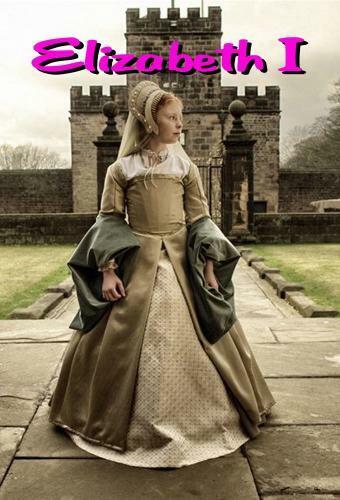 This episode charts her turbulent early years from age three when her mother was executed and she was declared illegitimate and banished from court, through the dangers she faced due to the machinations of Thomas Seymour and the hatred of her half-sister Mary, to the start of her reign. For the first 25 years of her reign, Elizabeth never feels secure. Catholic plots abound at home and abroad, and there is the problem about what to do with Mary Queen of Scots. Meanwhile, her councillors want her to marry. The Spanish Armada. The rise and fall of the Earl of Essex. Elizabeth I next episode air date provides TVMaze for you. EpisoDate.com is your TV show guide to Countdown Elizabeth I Episode Air Dates and to stay in touch with Elizabeth I next episode Air Date and your others favorite TV Shows. Add the shows you like to a "Watchlist" and let the site take it from there.